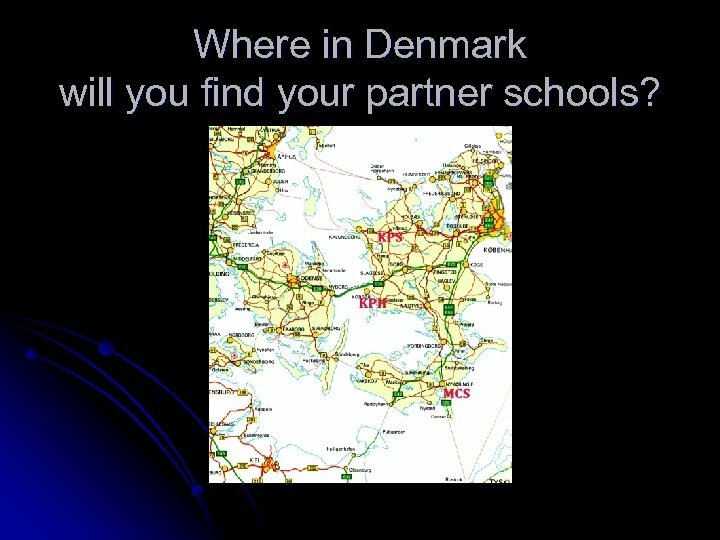 Where in Denmark will you find your partner schools? 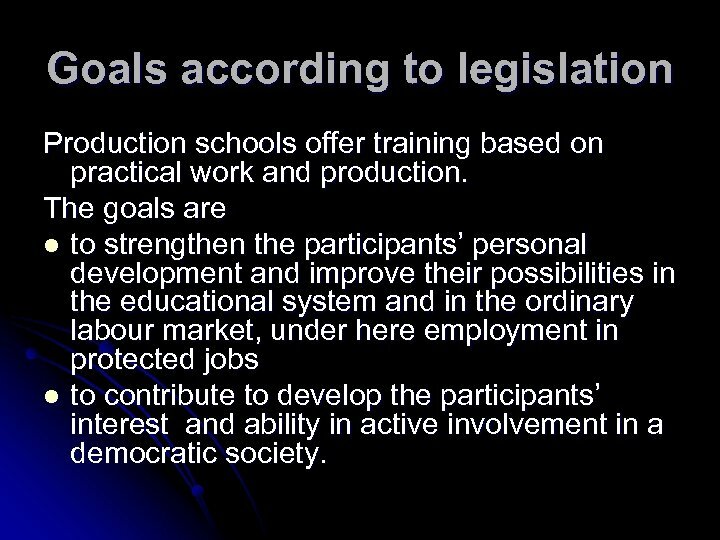 Goals according to legislation Production schools offer training based on practical work and production. The goals are l to strengthen the participants’ personal development and improve their possibilities in the educational system and in the ordinary labour market, under here employment in protected jobs l to contribute to develop the participants’ interest and ability in active involvement in a democratic society. 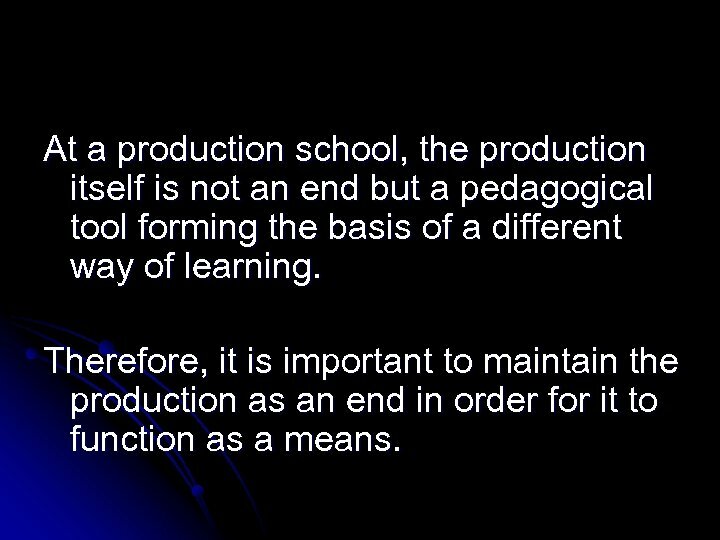 At a production school, the production itself is not an end but a pedagogical tool forming the basis of a different way of learning. 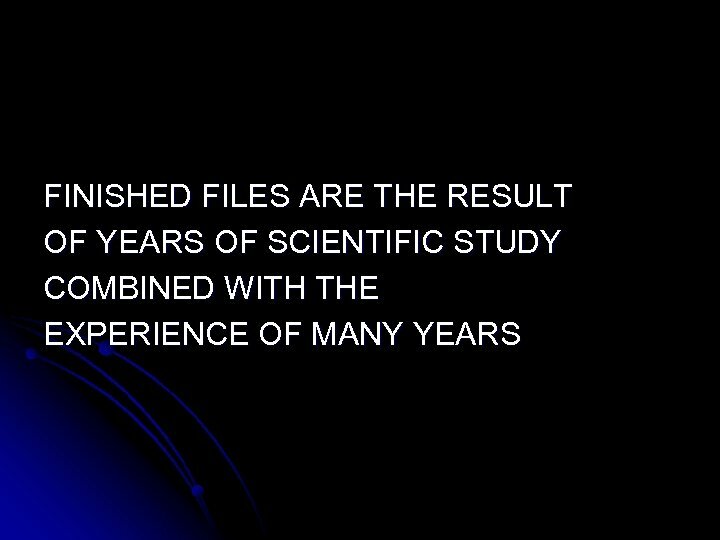 Therefore, it is important to maintain the production as an end in order for it to function as a means. 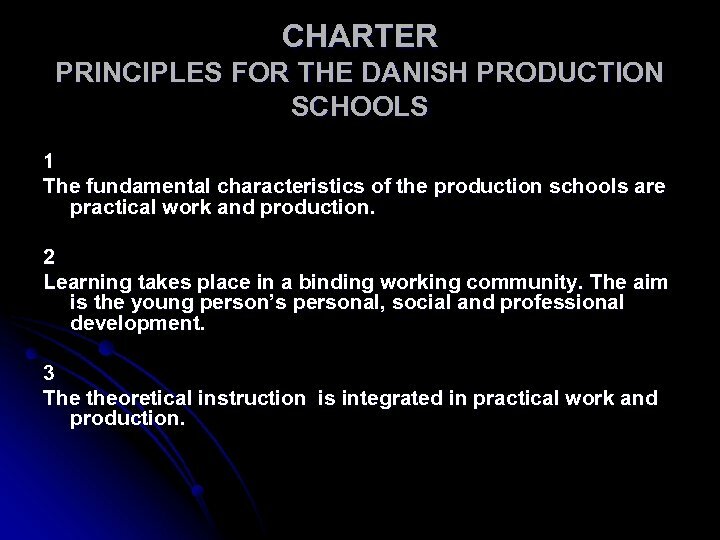 CHARTER PRINCIPLES FOR THE DANISH PRODUCTION SCHOOLS 1 The fundamental characteristics of the production schools are practical work and production. 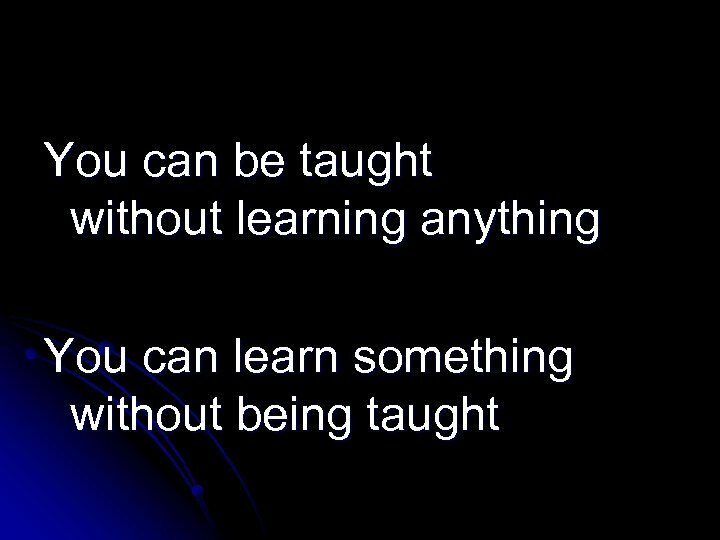 2 Learning takes place in a binding working community. The aim is the young person’s personal, social and professional development. 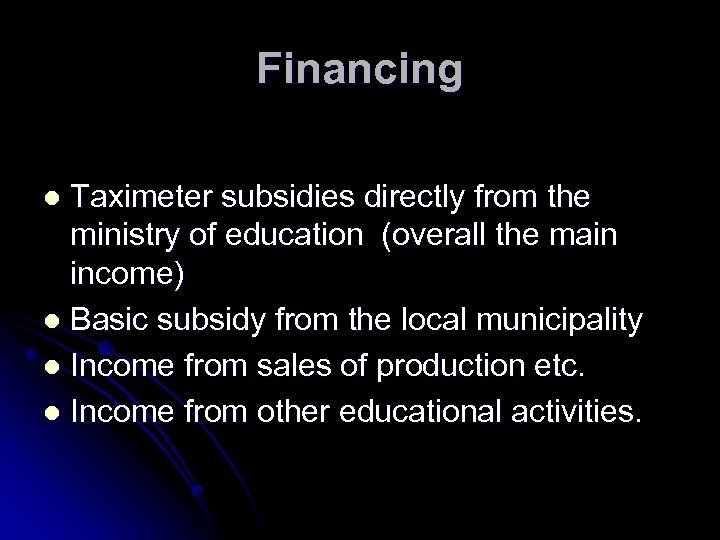 3 The theoretical instruction is integrated in practical work and production. 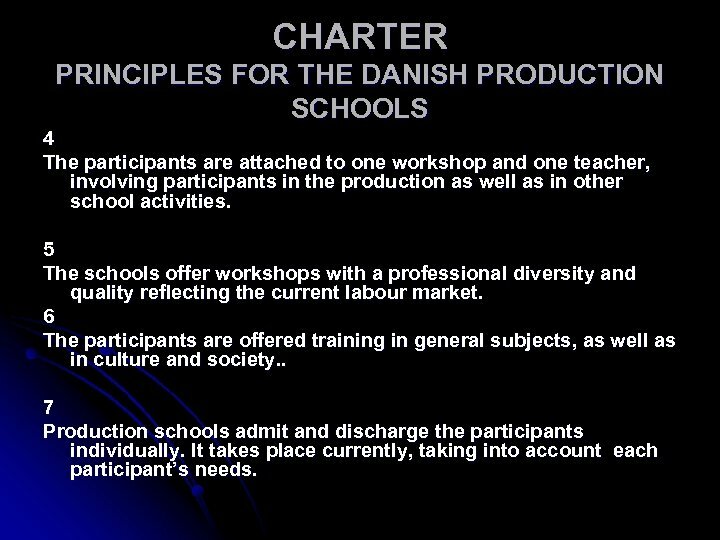 CHARTER PRINCIPLES FOR THE DANISH PRODUCTION SCHOOLS 4 The participants are attached to one workshop and one teacher, involving participants in the production as well as in other school activities. 5 The schools offer workshops with a professional diversity and quality reflecting the current labour market. 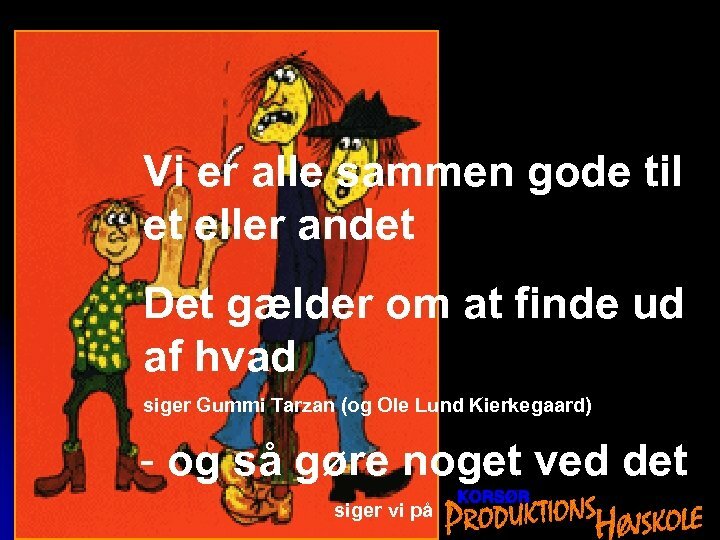 6 The participants are offered training in general subjects, as well as in culture and society. . 7 Production schools admit and discharge the participants individually. 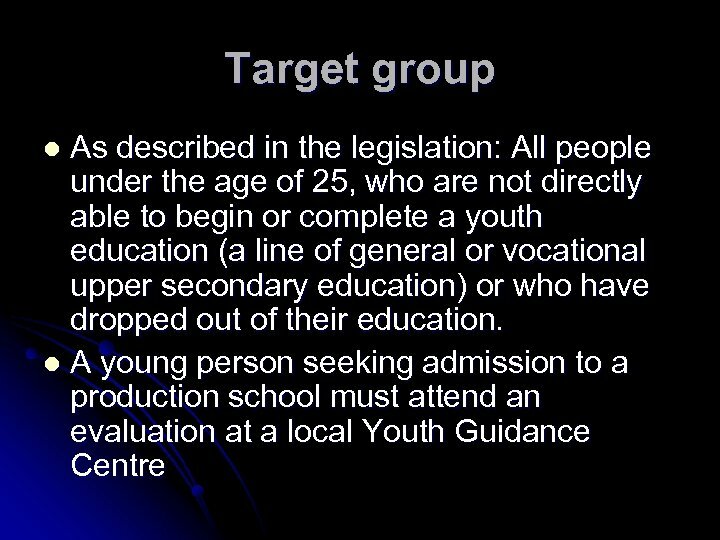 It takes place currently, taking into account each participant’s needs. 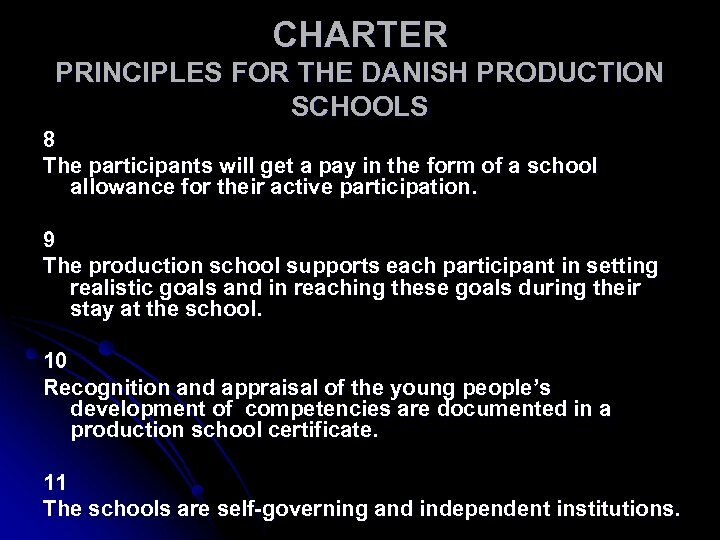 CHARTER PRINCIPLES FOR THE DANISH PRODUCTION SCHOOLS 8 The participants will get a pay in the form of a school allowance for their active participation. 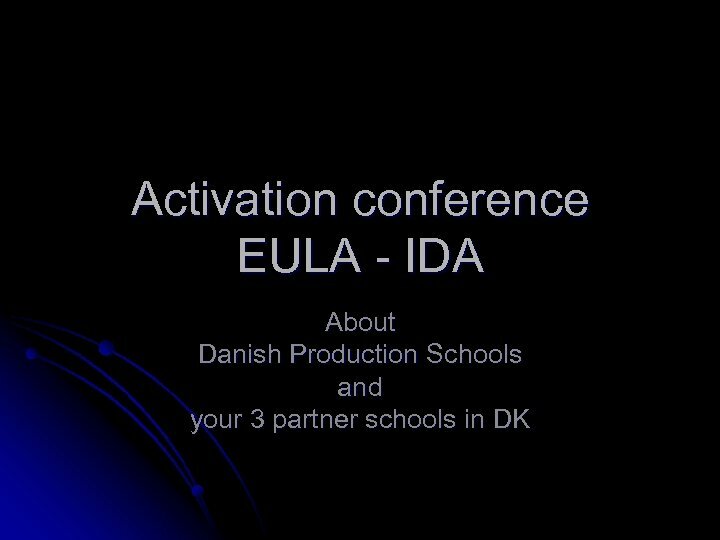 9 The production school supports each participant in setting realistic goals and in reaching these goals during their stay at the school. 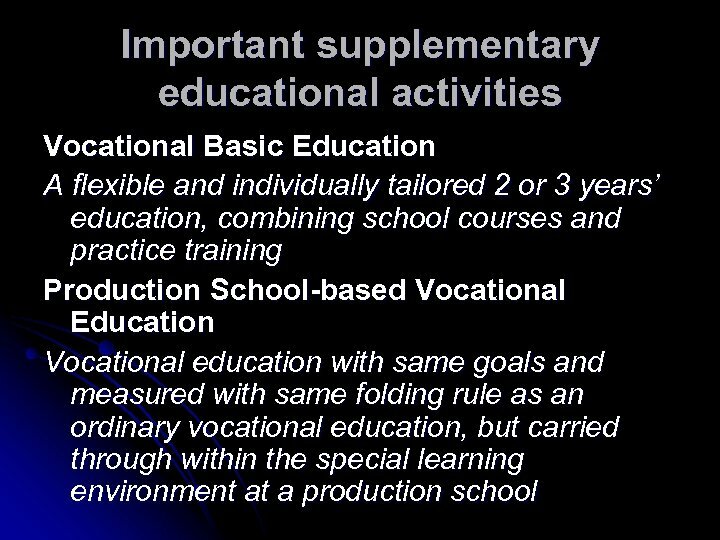 10 Recognition and appraisal of the young people’s development of competencies are documented in a production school certificate. 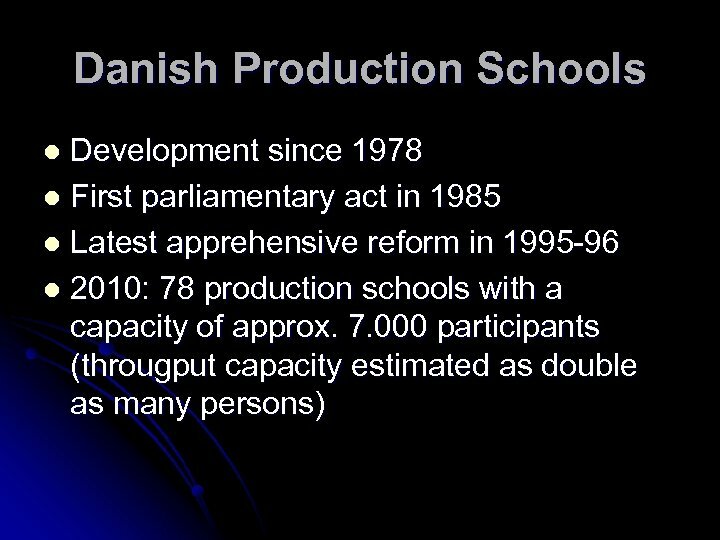 11 The schools are self-governing and independent institutions.  Why do we join the project? 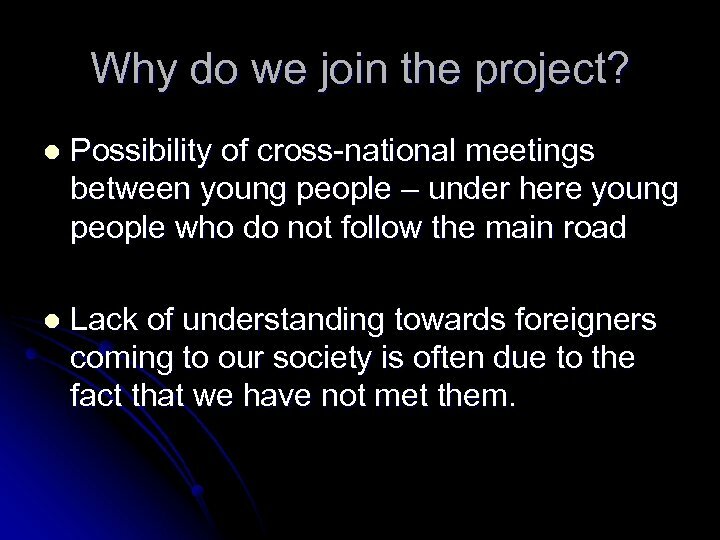 l Possibility of cross-national meetings between young people – under here young people who do not follow the main road l Lack of understanding towards foreigners coming to our society is often due to the fact that we have not met them.